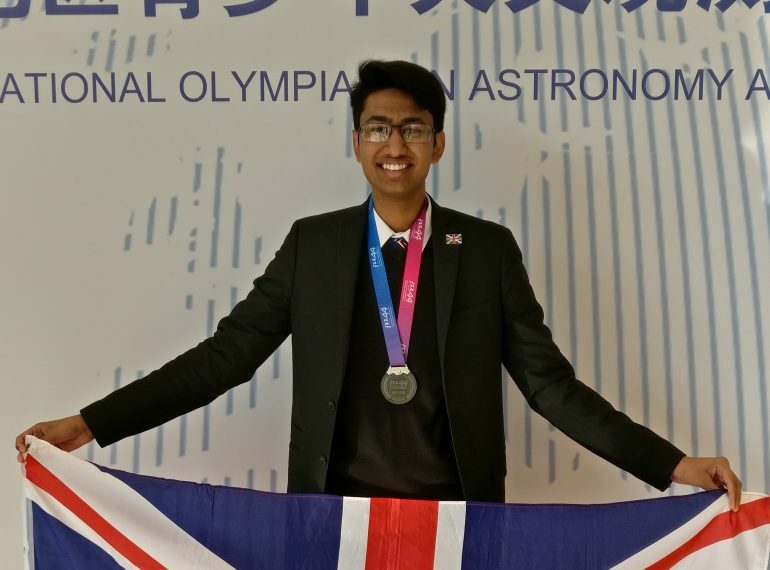 Year 13 pupil Niam Vaishnav won one of the UK’s two silver medals at the International Astronomy and Astrophysics Olympiad in Beijing. 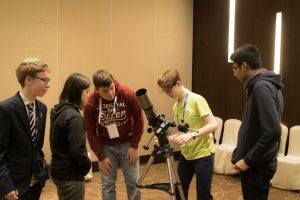 His performance during the fiercely fought competition put him in the top third of the competitors, placing Niam among the world’s foremost young astrophysicists. Headmaster Neil Enright said: “I congratulate Niam on his achievement and on the honour he has brought both to the School and to the country. He combined deep understanding and extensive factual knowledge with profound academic curiosity, thus exemplifying the free-thinking scholarship that we seek to cultivate at QE. Niam won his place on the five-strong national team after excelling at the British Astronomy & Astrophysics Training Camp at Oxford at Easter. His subsequent training included a spell at Marlborough College’s observatory. He travelled with British delegates to Beijing, where he teamed up with other competitors from countries spanning the globe, including Nepal, Greece, Poland, Canada, Bolivia and Singapore. 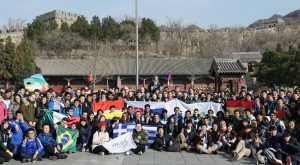 Niam and his fellow competitors stayed in the mountains near to the Great Wall. 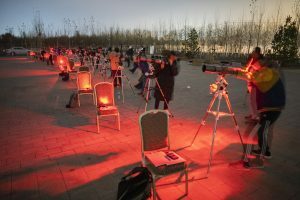 The competition involved four tests: a five-hour theory examination, a five-hour data-analysis examination, a one-hour daytime observation round and a ten-minute night-time observation round, during which competitors could use telescopes. There was also a separate team competition in which Niam joined six people from different countries. The aspects of the competition itself that stood out most for him were the questions looking into the evolution of the universe and of large-scale structures within it, as well as those which sought to answer the “big questions”, exploring the nexus at which elements of physics and philosophy merge. The UK won two silver medals and received two ‘honourable mentions’. For a gold medal, a score of 78% was needed, for silver it was 68%, for bronze 56% and for an ‘honourable mention’ 44%. Niam has already started the process for the Physics Olympiad competition next year, with Round 1 already complete, and Round 2 taking place in January.